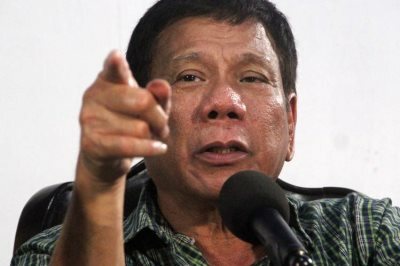 AFRICANGLOBE – Rodrigo Duterte, President of the Philippines, has responded to “concerns” from the United States and the United Nations about his war on drugs in his country which has so far killed about 1,000 alleged drug lords. But Duterte says he is equally concerned about the killings of “Black people” in the U.S.
Duterte, who is 71-years old, recently won the May election after promising to wage a war on illegal drugs and high crime in the Philippines. He says that there are 3 million drug addicts in his country, and that millions more are being “devastated by drugs”. And most Filipinos are huge supporters of what he is doing. Meanwhile, Black Americans are also applauding him for being one of few international leaders that have also spoken out against the ongoing discrimination and police brutality in the U.S. In 2015 alone, according to The Washington Post, more than 250 Black people were shot dead in the U.S. by police officers. In 2016, the number of similar incidents so far are just as high. A Powerful Question From Philippines President Rodrigo Duterte!